The Pilot Basics (7814) provided boots, a cap, and a dog tag, while the Mae West Vest (7816) is a nicely designed cloth Air vest available only on an beautifully illustrated 1967 card, though it appeared in a 1966 catalog. Images of both cards copyright and courtesy of Vectis Auctions Ltd. The basics cap, which is marked Hasbro Hong Kong instead of Hasbro USA is below. 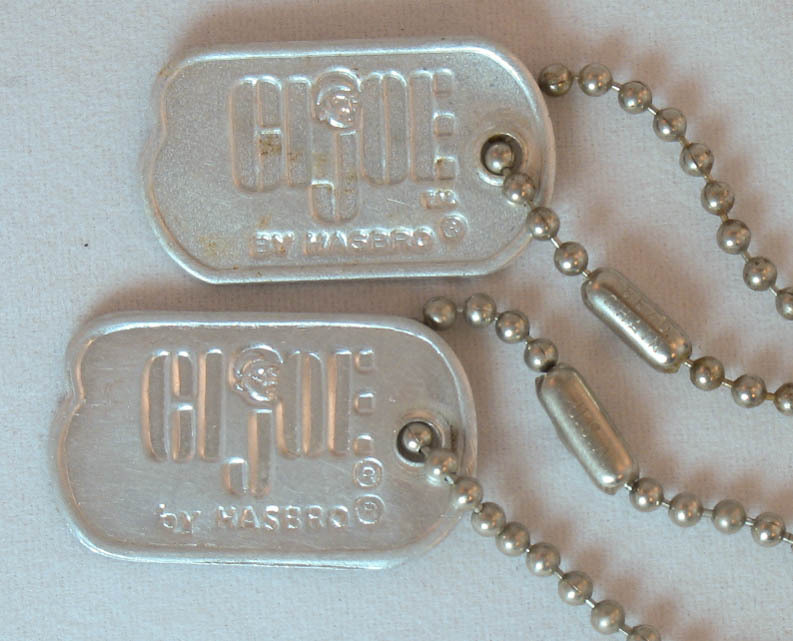 The bulk of dog tags (below) are marked GI Joe tm by Hasbro (R), while those from the Basics card are marked GI Joe (R) by Hasbro (R).